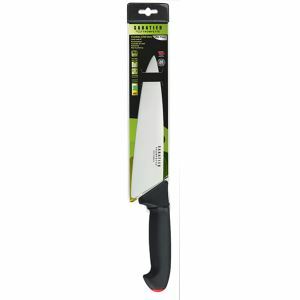 The importance of good tools in the kitchen is well known. 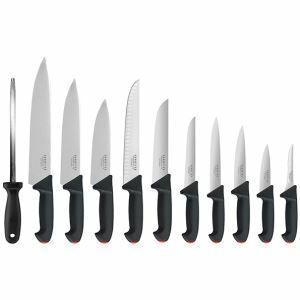 This set of 11 different professional kitchen knives gets the job done. But firts: figure out what kind of food you'll be cutting. 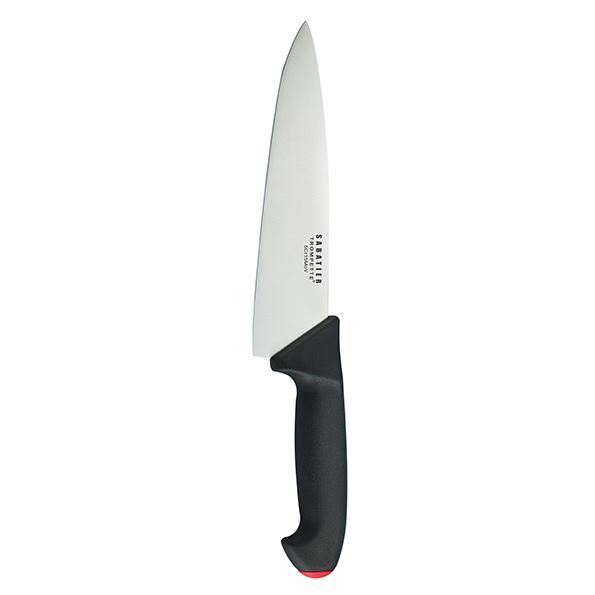 This way, you'll get the right knife for the right job. 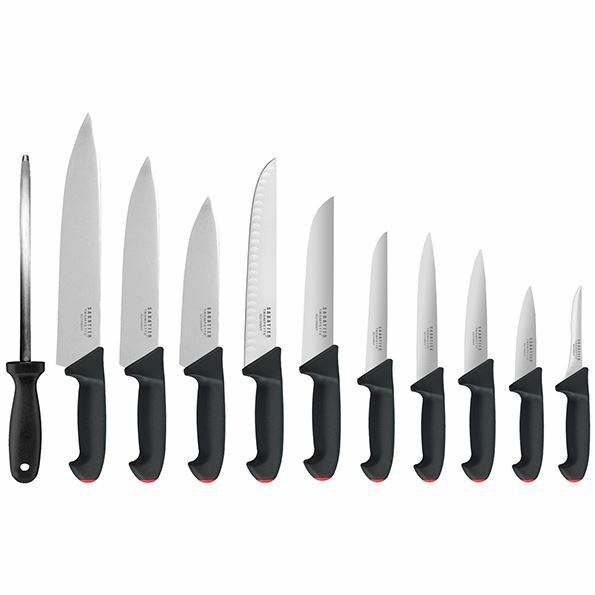 This knife set comes with removable colored inserts, so you can quickly find the right knife. 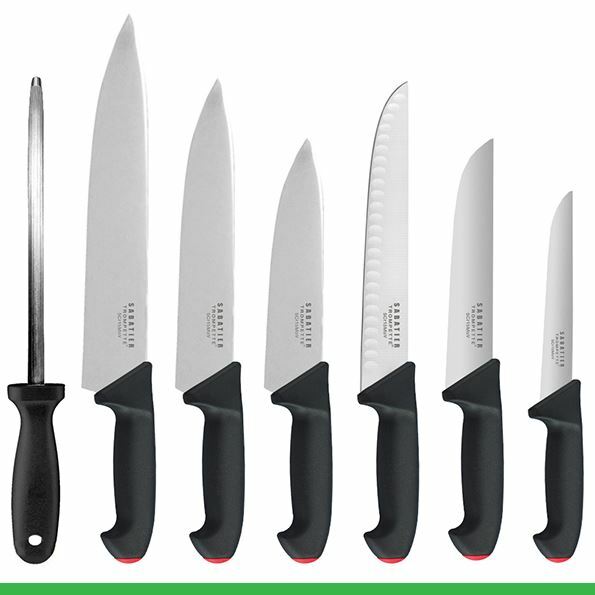 Choose your knives and enjoy your cooking! 221 Butcher knife 8" 132 Chef's knife 8"
015 Mid point sticking knife 6" 131 Chef's knife 10"
017 Narrow boning knife 7" 180 Chef's knife 12"
018 Narrow boning knife 5"